Apartment, 8 people, 4.5 room/s, 3 bedroom/s, 3 bathroom/s, approximately 100 m², 2 floor/s. Feature: Property in a hotel complex (8 building(s) in total). Furnishing: tasteful, with much wood, homely. Equipment: satellite TV (3 TV(s)); internet access Wi-Fi (included); safe; electric heating; lockable ski storage (ski boot dryer). Final cleaning of the kitchenette by tenants. Holiday resort tax. Linen/towels available (beds are ready-made upon arrival). Change of towels 1 x included per stay. Deposit € 500 (Visacard, Mastercard, American Express, diners). Cot/​High chair free of charge (on request). Pet not allowed. Pool (shared use): 1.30 m deep, heated. The apartment is described as good value for money. 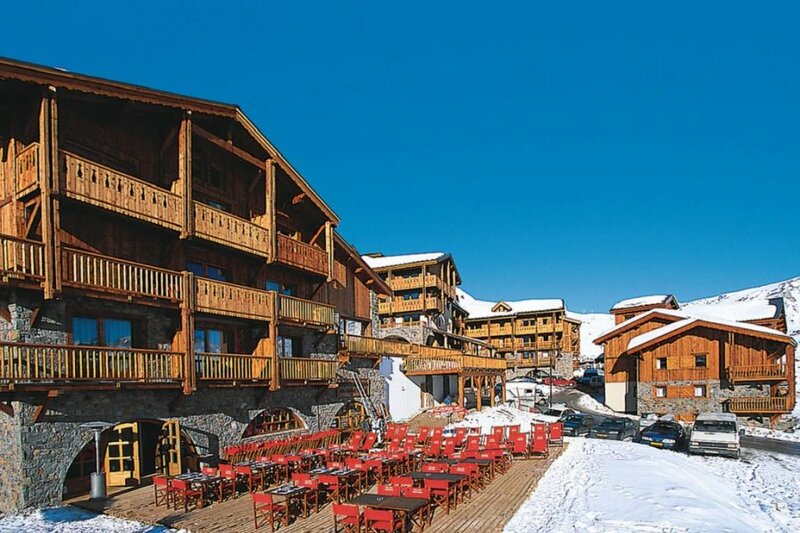 The apartment has a swimming pool and is located in Tignes. The nearest airport is 133km away. It is set in a very convenient location, just 0 metres away from a beach and only 300 metres away from the city center.